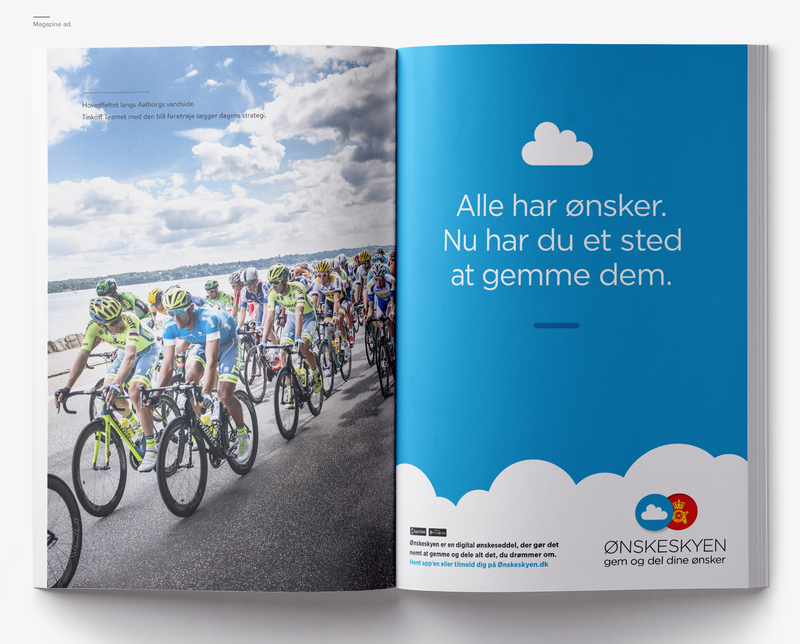 Post Danmark Rundt is the Danish equivalent to Tour De France, only without the mountains and the French. 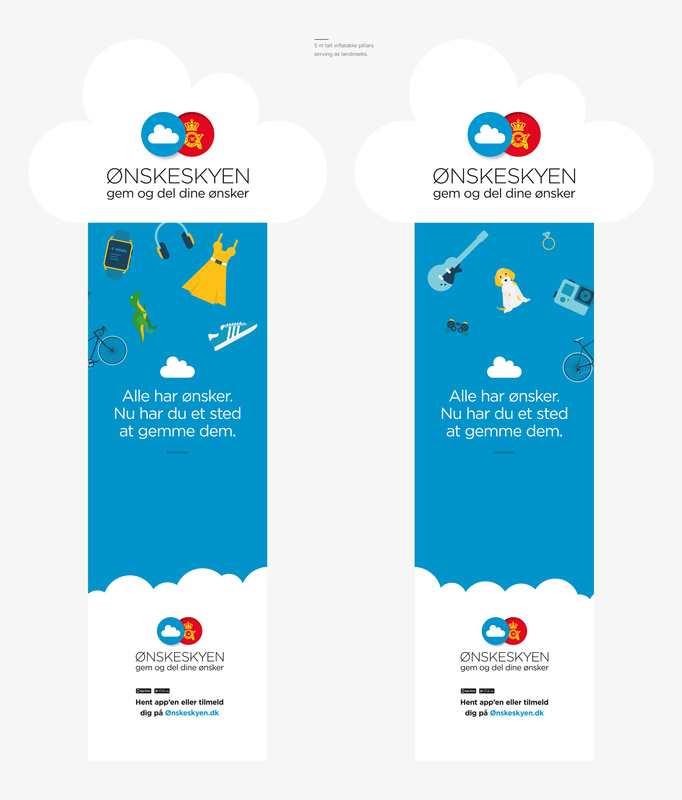 The race spans over 5 days and attract audiences in the thousands throughout the Danish kingdom. 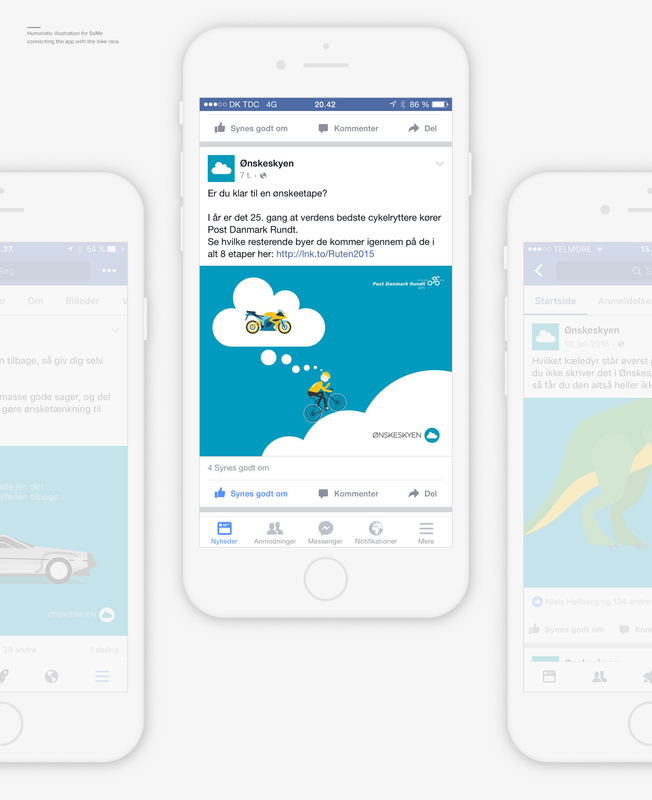 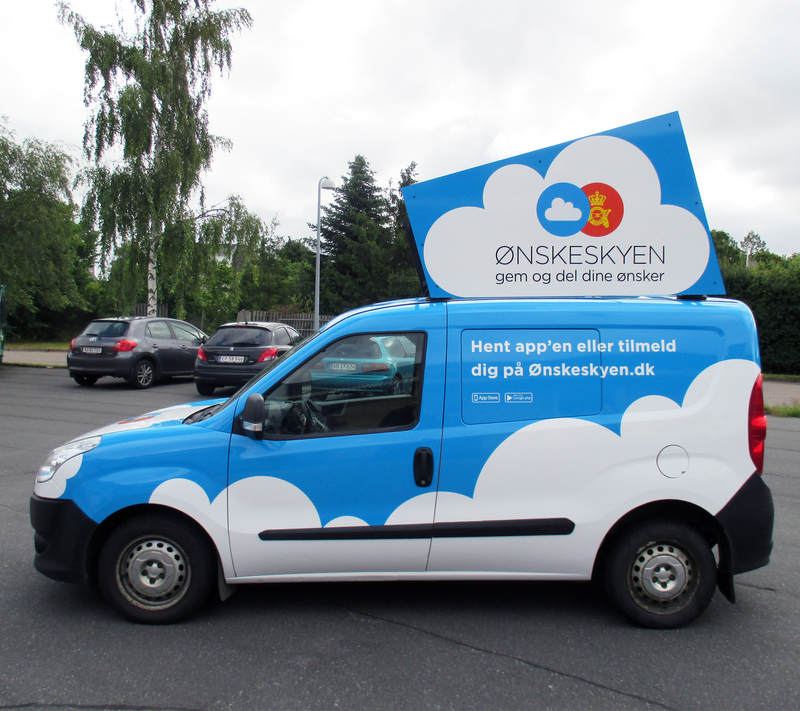 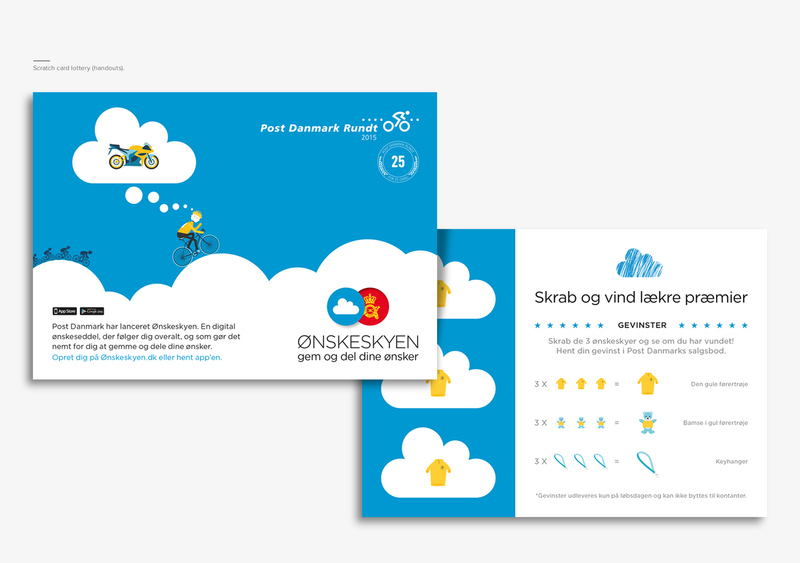 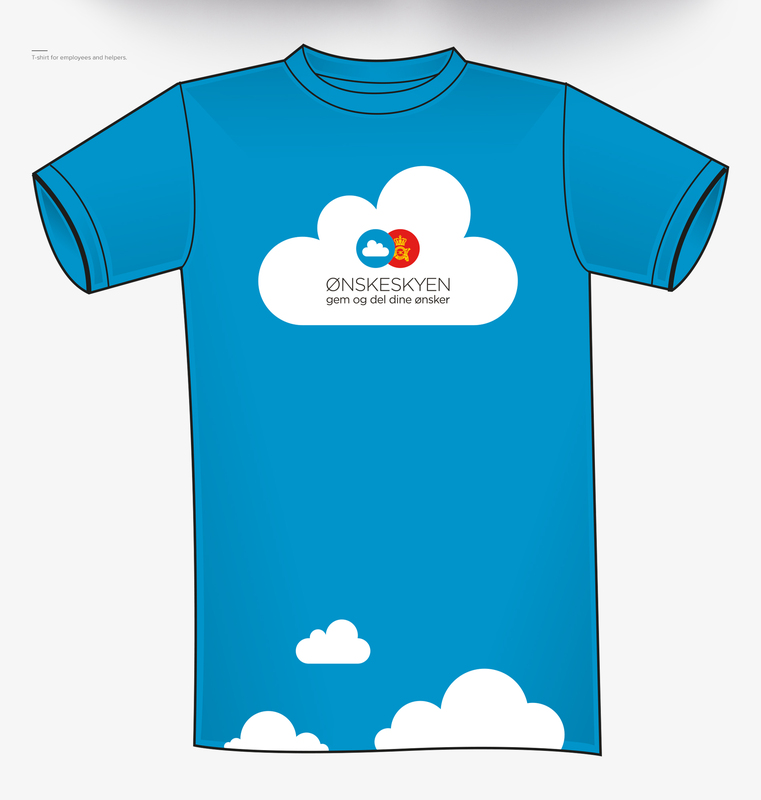 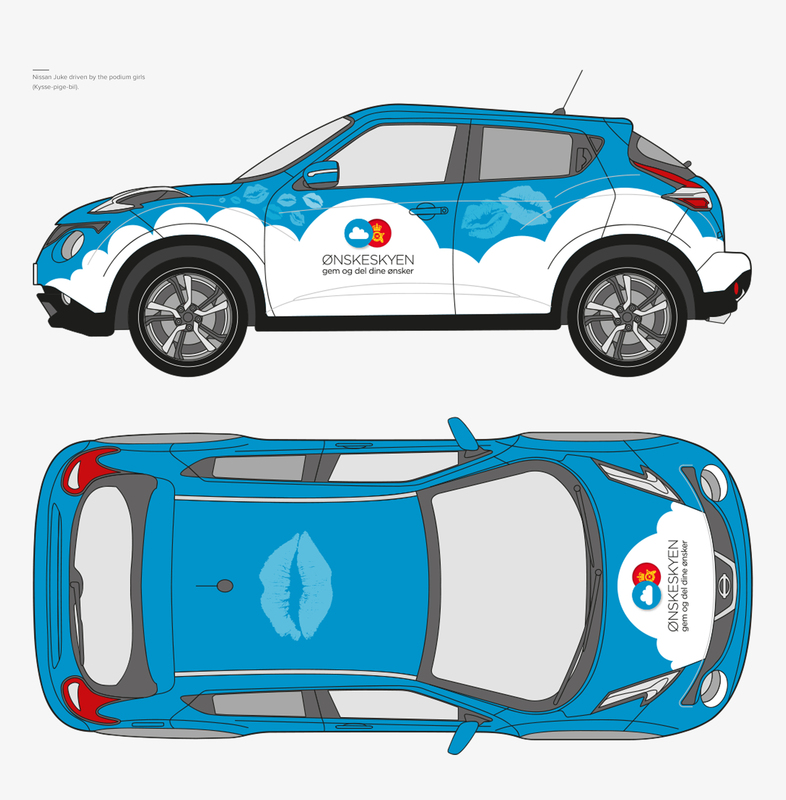 The marketing strategy was to promote 3 campaigns during the race: Frankeringssmærket (stamp set), Postkortet app (postcard app) and Ønskeskyen app (wishcloud app). 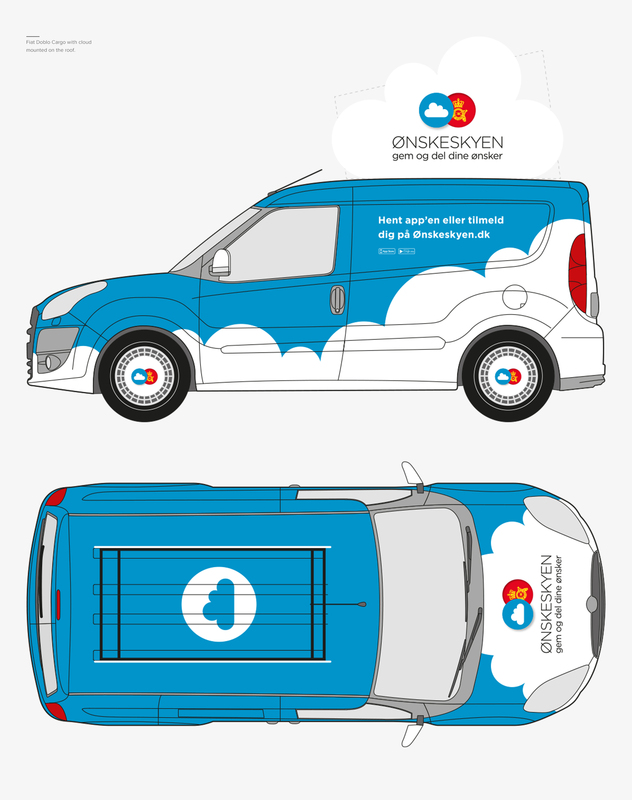 Hjaltelin Stahl & Co. had already created a really cool graphic universe for the Ønskeskyen app, which I had the pleasure to further develop and adapt for the race. 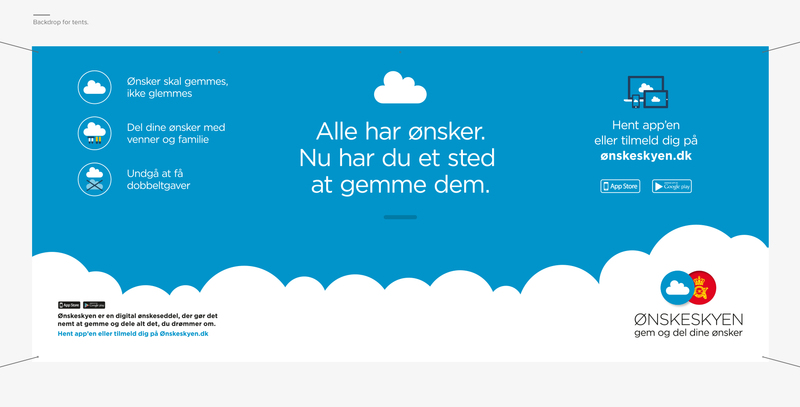 Original artwork: Hjaltelin Stahl & Co.